DULLES, Va., June 19 /PRNewswire-FirstCall/ -- Orbital Sciences Corporation (NYSE: ORB) today announced preliminary estimated financial results for the second quarter of 2003, as well as a planned refinancing that the company is pursuing. Based on preliminary estimated information, Orbital stated that it expects to report second quarter revenues of $152 to $157 million, operating income between $1.0 and $2.5 million, and a net loss in the range of $3.5 to $5.0 million. Orbital stated that its free cash flow* is forecast to be approximately $12 to $15 million for the second quarter. 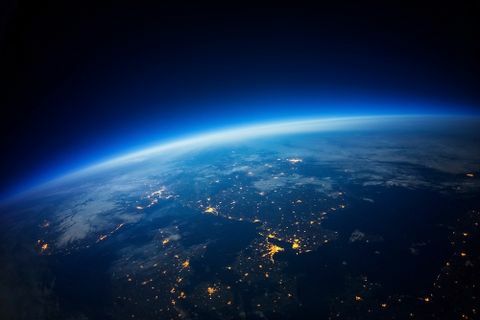 Orbital further stated that the expected net loss for the quarter is primarily due to an operating loss at the company's electronic systems segment and expected charges related to Orbital's settlement with Orbital Imaging Corporation (ORBIMAGE). 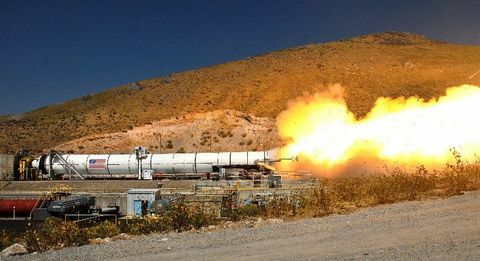 The company's core business segments, consisting of its launch vehicles and advanced programs segment and its satellites and related space systems segment, are preliminarily estimated to generate combined second quarter revenues of $146 to $150 million and combined operating income of $9.5 to $10.5 million. These estimated second quarter results reflect continuing strong revenue growth in the company's launch vehicles and missile defense interceptors product lines as compared to both the first quarter of 2003 and the second quarter of 2002, as well as significant growth in its satellite- related revenues. Orbital's second quarter results are expected to be negatively impacted by weaker than expected performance by the company's electronic systems segment, which provides transportation management systems (TMS) primarily for public transit agencies. The company expects that the electronic systems segment will report a second quarter operating loss in the range of $4.5 to $5.0 million. This quarterly loss is primarily the result of adjustments to the estimated costs to complete several TMS contracts due to extended time to develop and test related software. As announced earlier this year, Orbital will incur a $2.5 million charge related to a settlement agreement with ORBIMAGE upon the launch of the OrbView-3 satellite. The OrbView-3 launch is currently scheduled to occur later this month and, accordingly, the above-mentioned estimated second quarter results include this $2.5 million charge against operating income. Estimated second quarter results also include an additional $1.0 million settlement charge related to the delay in the launch and on-orbit checkout of the OrbView-3 satellite. Orbital reaffirmed previous guidance with respect to full-year 2003 revenues in the range of $560 to $580 million. The company continues to expect a full-year operating income margin in the range of 6 to 7% of revenue; however, the company currently expects the margin to be in the lower end of the range. Orbital also announced that it is increasing its full-year free cash flow* guidance by $5 million to a range of $25 to $35 million, and continues to forecast year-end 2003 firm backlog in the range of $900 to $950 million. Orbital also announced that, subject to market conditions, it is preparing to commence refinancing of its outstanding $135 million of 12% Second Priority Secured Notes that were issued in 2002. It is anticipated that such refinancing would entail a cash tender offer and consent solicitation for the 12% notes, a new debt financing and a replacement of the current Foothill Capital Corporation credit facility with a new revolving line of credit with Bank of America. 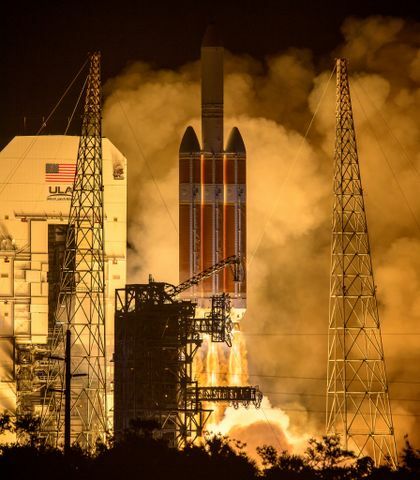 The company has conducted five successful space missions since early April, consisting of three satellite deployments and two rocket launches, bringing its year-to-date mission record to eight successes in eight attempts. As noted above, Orbital expects to launch the company-built OrbView-3 satellite on a Pegasus rocket before the end of June. In addition, the company plans to deliver or launch three more satellites and rockets in July and August. The following definition is provided for non-GAAP (Generally Accepted Accounting Principles) measures (indicated by an asterisk*) used by the company with this disclosure. Orbital does not intend for the information to be considered in isolation or as a substitute for the related GAAP measures. Other companies may define the measures differently. Free cash flow is defined as GAAP net cash provided by operating activities less capital expenditures for property, plant and equipment. Management believes free cash flow provides investors with an important perspective on the company's ability to finance its operations and to service its debt. The company's free cash flow forecasts discussed above include cash provided by operating activities less forecasted capital expenditures of $2.7 million and $14.5 million for the second quarter and full year, respectively. To listen to the conference call, dial 888-541-8767, and use the conference ID number 1412677. A replay of the conference call will be available approximately two hours after the end of the call and will remain active for one week, until Friday, June 27. For access to the replay of the conference call, dial 800-642-1687 (international callers should dial 706-645-9291) and use the same conference ID number. The audio of the conference call will also be broadcast over the Internet. For audiocast registration and information, please visit Orbital's web site at http://www.orbital.com/Investor. It is advisable to register at least 20 minutes prior to the call to download and install any necessary audio software. A transcript of the conference call will be posted on the "For Investors" section of Orbital's web site within 48 hours. Orbital develops and manufactures small space and missile systems for commercial, civil government and military customers. The company's primary products are satellites and launch vehicles, including low-orbit, geostationary and planetary spacecraft for communications, remote sensing and scientific missions; ground- and air-launched rockets that deliver satellites into orbit; and missile defense boosters that are used as interceptor and target vehicles. Orbital also offers space-related technical services to government agencies and develops and builds satellite-based transportation management systems for public transit agencies and private vehicle fleet operators. Some of the statements in this release constitute "forward-looking statements" within the meaning of the Private Securities Litigation Reform Act of 1995. All statements other than those of historical facts included herein, including those related to the company's financial outlook, goals, business strategy, projected plans and objectives of management for future operations, new order trends and liquidity are forward-looking statements. Such "forward-looking statements" involve unknown risks and uncertainties that may cause the actual results, performance or achievements of the company to be materially different from any future results, performance or achievements, expressed or implied by such forward-looking statements. Factors such as general economic and business conditions, availability of required capital for Orbital and its affiliates, continued government support and funding for key space and defense programs, the financial condition of major customers, product performance, market acceptance of products, services and technologies, consumer demand, and dependence upon long-term contracts with commercial and government customers may impact the company's revenues, expenses, profit and cash flow from period to period. These factors and others related to the company's business are described in further detail in the company's SEC filings, including its Form 10-K/A. Orbital assumes no obligation to update any such forward-looking information.